Are you ready to drink some wine? Always. Do you want to check out a new wine region? Of course. Would it be nice for someone else to do the driving? Definitely. Then it’s time to board the Wolfville Magic Winery Bus. This isn’t a joke. 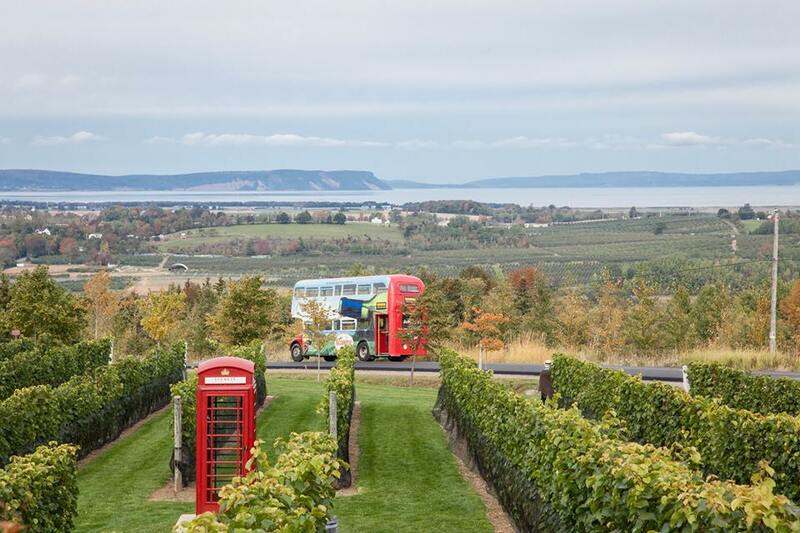 The Wolfville Magic Winery Bus is a classic British double-decker bus that runs on a continuous loop between wineries in Nova Scotia’s Annapolis Valley. It stops at five wineries in Wolfville, Grand Pré, and Gaspereau. Most people spend one hour at each vineyard before moving on to the next one. But you can hop on and hop off at any time if you want to add a cheese pairing, lunch, or even a phone call from an old British phone box along the way. The Annapolis Valley is located on the west coast of the Nova Scotia peninsula overlooking the Minas Basin and the Bay of Fundy. It lies between two parallel mountain ranges, which shelter the valley and produce a microclimate with mild temperatures and fertile glacial soil. Acadians first realized this in the 1680s, when they built farms on the First Nations’ former hunting grounds. They, in turn, lost their land and farms to the British in the 1750s during the Seven Years’ War. More farmers, this time New Englanders, followed. They built thousands of apple farms. In the last 20 years, some of them have been turned into wineries. 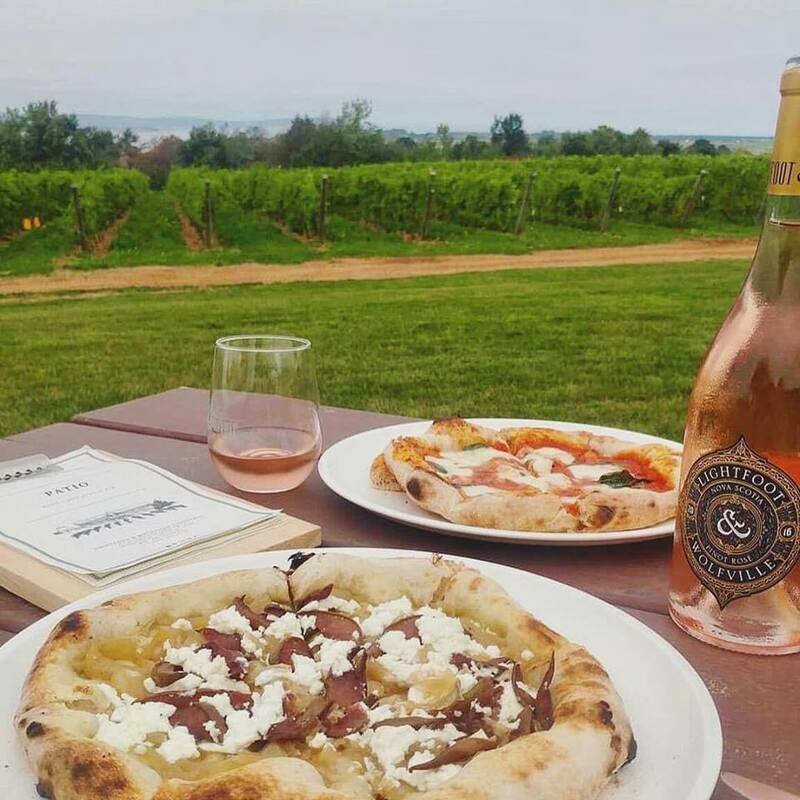 Lightfoot & Wolfville Vineyards, Nova Scotia’s newest winery, is your first stop of the day. The Lightfoot family has been farming in the valley for eight generations. They planted vines in 2009, released their first wine in 2015, and finally opened a tasting room last year. They now offer Chardonnays, Rieslings, Pinot Noirs, and other German-style wines. There’s a wood-fired pizza oven on the patio, as well. Their Ancienne Pinot Noir and a bubbling hot pizza make a perfect mid-morning snack. After visiting the newest winery, the bus drops you off at Domaine de Grand Pré. Atlantic Canada’s oldest winery is the place to learn about the area’s land and unique grape varietals. Tidal Bay is Nova Scotia’s own appellation. The aromatic white wine reflects the terroir, the coastal breezes, and the cooler climate that surrounds you. It’s fresh, crisp, and ideal for a seafood dinner. Oysters at the on-site Le Caveau Restaurant sound very tempting right now. 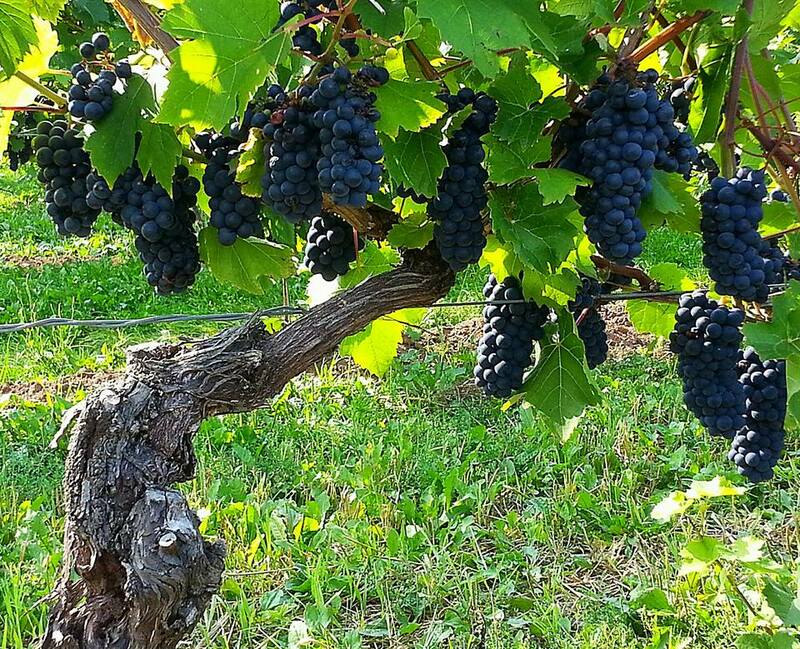 Luckett Vineyards and L’Acadie Vineyards are your next two stops. Luckett sits on a hillside with panoramic views of the vines and the bay in the distance. Crush Pad Bistro offers sandwiches, paninis, and a hearty seafood chowder that can stand up to their full-bodied reds. You can make free calls to anywhere in Canada from the phone box in the middle of the vines while you wait. L’Acadie Vineyards, Nova Scotia’s oldest organic winery, feels like a palette cleanser with its traditional method sparkling wines. Their limited-release Prestige Brut Estate, which feels like a fine mousse in your mouth, might be your favorite sip of the day. You’re not surprised to learn that it’s won awards around the world—including France. This makes Gaspereau Vineyards the last stop on the circuit. It’s another former apple orchard. Grapes were planted in 1996. Their wines—elegant whites and robust reds—have also developed into award winners. The south-facing vineyard sits in a picturesque spot. Tastings take place in a big red barn. Charcuterie boards and lobster sliders, along with a glass of your favorite Riesling, are served on the Vine Side Patio. While bikes are available for you to explore the valley even further. And, once the live music starts, it becomes an easy place to linger for the rest of the afternoon. Just don’t miss the last bus back to Wolfville.